One of the first and easiest route bloggers went when it comes to monetize their blogs is through displaying ads. While there’s nothing exactly wrong with making money through ads, another more lucrative alternative is often overlooked, especially to bloggers seek to monetize their blog for the first time. I’m talking of course, about affiliate marketing. Affiliate marketing is a way more lucrative way to monetize your blog compared to ads and it’s almost as easy. As a bonus point, they are less irritating to your blog visitors if done right. In this post, you’ll learn how to start affiliate marketing from the very basics down to the available affiliate marketing programs you can join. Affiliate marketing is a referral-based online marketing system where affiliates promote products and earn commission in the process. 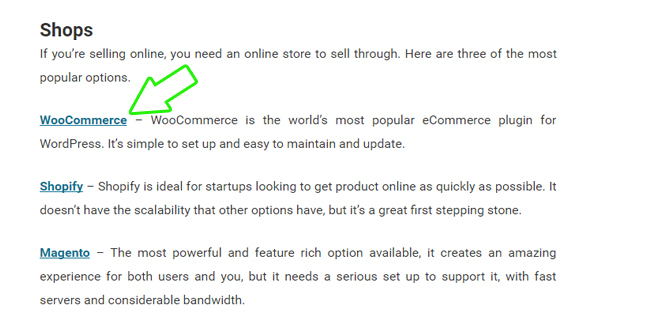 Retailer – Online vendor who sells products or services online. 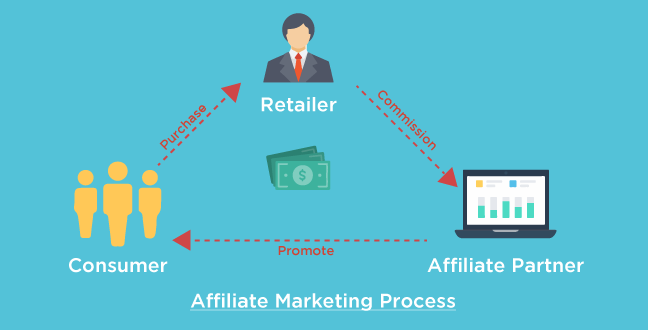 In affiliate marketing, retailers create affiliate programs for other marketers to join and help market their product and pays them commission from the sales made in return. Affiliate Partner – Affiliates are other marketers or bloggers who join an affiliate program and help market other people’s product to consumers and get commissions in return. Consumer – Consumers are people who purchase the products or services online. 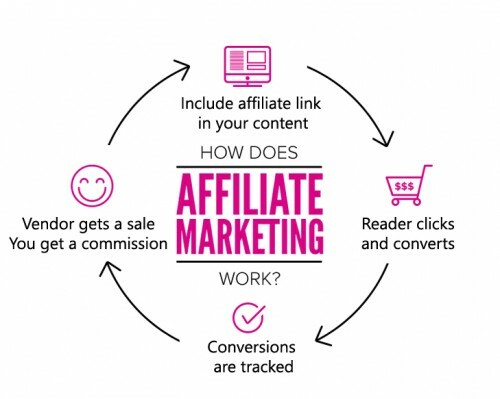 In affiliate marketing, consumers purchase products or services indirectly through affiliates. In this post I will be focusing on how bloggers can become an affiliate partner and start earning commissions by selling other people’s product. How Bloggers Can Earn From Affiliate Marketing? Bloggers can earn money by including affiliate links in their blog contents and getting sales. What bloggers like you and me have, are contents and people reading them (that’s your readers or audiences). I’m sure that more often than not, we can’t help but to recommend certain products or services when we talk about something. Talk about traveling? We might recommend a certain place to stay or places to eat. Talk about car care, a specific brand of lubricant or engine oil you trust and use. 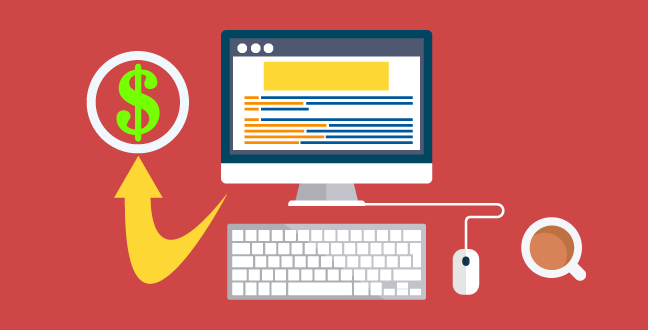 Talk about Inbound Marketing, a list of tools to make the whole process easier. Affiliate marketing is based on this content recommendation system and adding a monetization component to it. Basically, if you recommend something and that recommendation resulting in your readers purchasing said product or service, you’ll get a cut of each sale. Pretty nifty huh? Affiliate marketing platform revolves around the unique affiliate link that belongs to you and tracking the sales made through that link. You might already be asking how does this all work? How does the retailer knows which sale belongs to you? How much sales you’ve accumulated? How is the payout done? First, you need to select an affiliate program to join. Not every product are suitable to you or your contents. Some products might not be that good, so select which vendor you want to be affiliated with very carefully. There are plenty of affiliate platforms to join, from affiliate networks to individual vendors. I’ll get to this part a little bit later in this post. After you have registered to your selected affiliate programs, you’ll get an account and a dashboard you can login to. The dashboard is where you get your unique affiliate links and all sort of information about sales you made and commissions you’ve earned. For every product you choose to promote, you’ll get a unique affiliate link connected to your account. You can use this link each time you mention the products in your contents, be it your blog posts or the email you send to your subscriber list. When readers click and purchase the product through your unique link, it will be credited to you and you’ll get commissions for the sale. 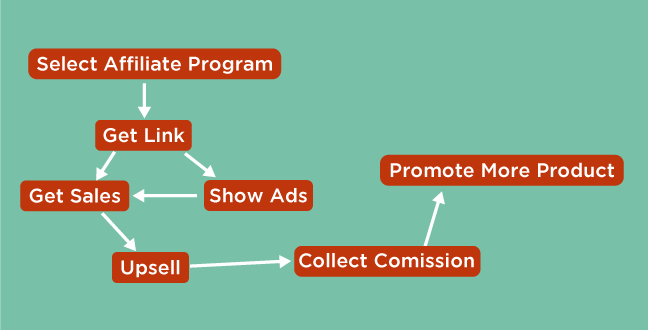 Most affiliate programs also features an upsell system. Upselling means to get the readers to upgrade their purchase to include additional features or package upgrade. You’ll get additional commission and earn more with each upsell. Most affiliate links also drop cookies to readers clicking them and show them ads related to the products. If purchases are completed through ads that displayed when your cookies are active, it will also be credited to you. You can monitor the sales you’ve made from your affiliate platform dashboard and collect the commissions. Payment are usually made straight to your bank account or through payment systems like PayPal. Overtime, you can find and promote more products to increase your affiliate earnings. There are different ways and method to do affiliate marketing but these 4 are among the main types you’ll encounter. There are several types of affiliate schemes that you can opt to promote. Each of these have their own strength and weaknesses and requires a different strategy to execute. Launch Jacking – This affiliate marketing method takes advantage of product launches – time-limited events designed to announce and jump start a new product into the market. Launches usually pay out high percentage of commissions (up to 50% of sales made) and include time-limited offers to attract buyers. To encourage affiliate participation, vendors often offer additional prize money for affiliates who managed to get the most sales or reaches a certain amount of sales within the launch duration. Various other supports are also given to affiliate partners, including exclusive downloadables to add value to the purchase and “swipes” – sales copies to be used in promoting the product. Launch jacking is a great way to get tons of commissions fast, but they don’t last long. You need to keep track of new launches now and then to keep earning from them. Websites like MunchEye serves as a launch calendar to keep track of incoming launches. It is also possible for newly launched products to get poor reception and as a result, stop being developed or supported. That’s why it’s advisable to carefully select vendors with good track records. Evergreen products – Evergreen products are the standard release of any product that continues as long as the supply exists. Evergreen products are usually products that have reach maturity and are proven to get constant stream of sales or everyday items. Most evergreen products are established brands, such as Aweber email marketing platform or items sold in online shops such as on Amazon. Evergreen products are usually much easier to sell since they are proven to be solid products as well as being common items people need. But evergreen products also yield lower commission rate, just around 4% to 8%. 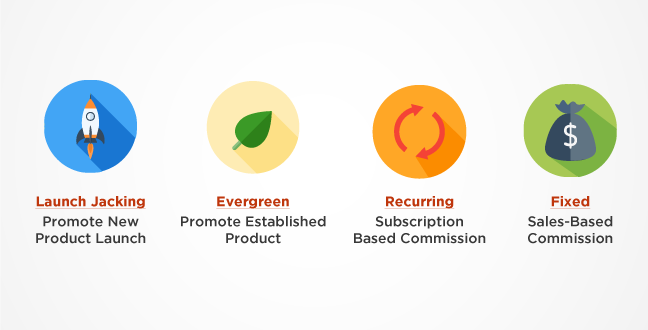 By promoting evergreen products, you’ll build a slow, but steady stream of income overtime. The best part? You’ll only need to set it up once! Recurring Payment – Subscription-based products like web services sometimes offer recurring commissions. This means that for each month a user renew their subscription, you’ll get a portion of the renewal fee. Recurring model can potentially generate a continuous stream of income, as long as the users keep subscribing. But care needs to be taken as there’s no guarantee that the income will keep coming forever. 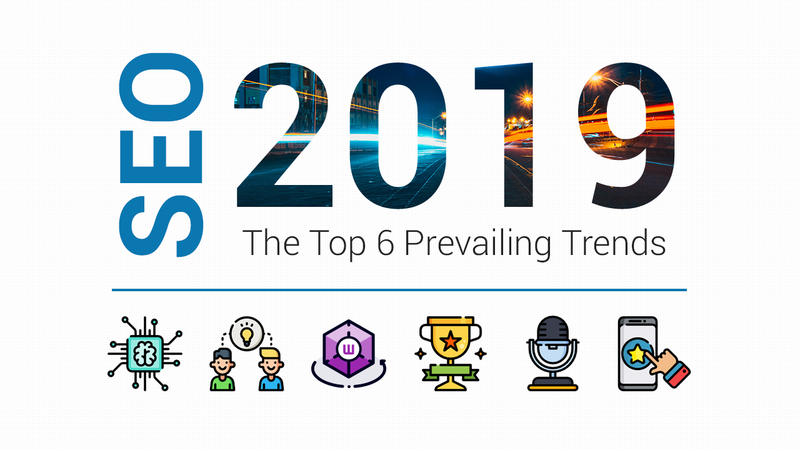 Many things can happen that will stop you earning from a recurring model such as change in vendor’s company policy, discontinuation of a product or the users simply not interested in continuing the subscription. Fixed Commission – In contrast to the recurring model, a fixed commission model only pays you once each time a customer buys a product. This usually comes with a higher commission rate compared to recurring model to compensate for the loss of potential gain. A fixed commission guarantees a bulk of income upfront that might take a recurring model months or years to achieve. Depending on your expectation of the longevity of a product and your own need, you can pick the model that suits you the most when offered. How To Implement Affiliate Marketing Into Your Blog? Now that you’ve registered to an affiliate marketing program of your choice, it’s time to implement them into your blogging process and start earning. The key here is to include your affiliate link where it is most likely to convince your readers to complete a purchase. The product you’re promoting might fit in the blog posts you regularly write and can be linked everytime you mention it. Like what I’ve mentioned earlier in this post, there are times where you naturally recommend certain products in your posts. When you are talking about blogging for example, you might recommend a few blogging tools to help things out. In this case, the product is not the focus of the blog post. 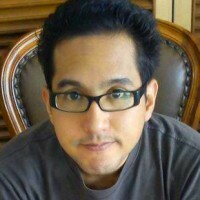 You are mainly talking about something else, and the product is linked inside as a supporting point to the main topic. This technique is called a soft sell – where your recommendation flows organically within your contents. Soft selling have the advantage of not being irritating to your readers as you aren’t being pushy and there are little pressure involved. The products are presented as one of the many options available in helping the readers in solving the problem your content are addressing and the readers are free to make their own choice. This method helps you leverage the power of Inbound Marketing , where you can attract a much wider audience looking for a solution to their problems. While being a relatively safe method, soft-selling is also a slow sales method. With less pressure and focus, most readers will just be satisfied at your contents and not end up purchasing. Creating good content and practicing good SEO is the key here in order to get more traffic from search engine as well as social shares. 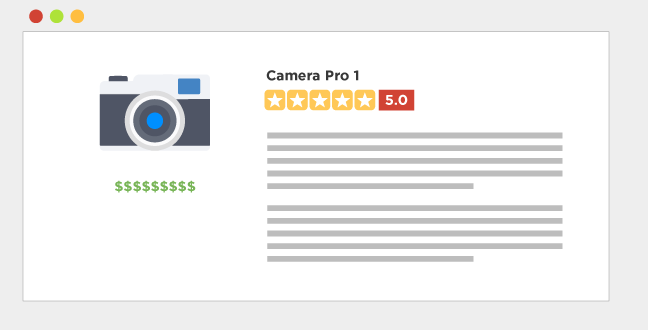 Reviews are a product-centric contents you can use to highlight the products you’re promoting. A more sales-focused content would be writing a review of the product you’re promoting. A lot of bloggers write reviews to share with others the products they use, writing in detail about the features and specifications. A good review is honest and balanced, with pros and cons to help readers decide if a product is suitable to their needs. You might even do comparison type of reviews, comparing between two or more alternatives. Readers love to have options and there’s nothing stopping you from promoting and collecting commissions from multiple competing products. In the end, everybody wins! Including a product section on strategic parts of your blog is also an effective strategy to get sales. Another good way of featuring an affiliated product is by creating “Featured Products” section on your blog. You can give the section its own page and you can even include them in sidebars or footers of relevant contents. A featured product section, or also known as affiliate web store, can serve as a non-intrusive way to market affiliate products and provide a way for readers to show support to your blog. 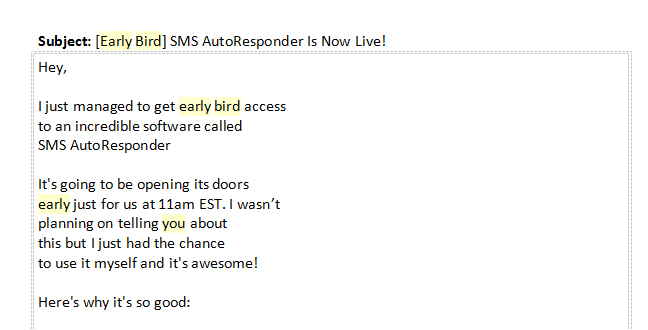 You can also send sales letters to your email subscribers for products that’s useful to them. Sales letter is another effective way to market affiliate product to your readers. This method of course, require you to have an email marketing platform set and a list of email subscribers to send sales letters to. Most marketers use sales letters to announce and promote product launches that’s relevant to their subscriber list. Marketing through sales letters allows you to directly reach your audience from their email inbox. You can also offer unique and exclusive offers not available to those not subscribed to your list. With that being said, not everyone in your list likes to receive sales letter so be careful not to overdo it. For each letter you send, you can expect a small portion of your subscribers to leave your list, so make sure to get new ones faster than you lose the old ones. There are tons of options available when it comes to choosing which affiliate program you want to partner with. Different platforms features different network of vendors, products, payment option as well as sales policy but one thing you need to make sure, is to pick a known, trusted and secure platform. JVZoo is a platform mostly joined by internet marketers selling digital products. From software to e-books, most products are sold online so you don’t need to worry about shipping. JVZoo is a relatively casual platform with less strict rules and simpler procedures. The plus side is that the processes are more straightforward and communication between vendor and affiliate partner is closer and easier. The downside is that the quality of many products featured in JVZoo can be quite low quality so you need to carefully select good products from vendors with a proven reputation. Similar to JVZoo, ClickBank also focuses mostly on digital products. But compared to JVZoo, ClickBank is a more established platform with a much wider recognition and market size. You can expect the average quality of products featured in ClickBank to be of better quality but the market is considerably busier and fast-paced with less interaction between vendor and affiliate. MunchEye is not exactly an affiliate platform on itself, but serves as a launch calendar, displaying upcoming big launches you can join and prepare before the actual launch. The great thing with MunchEye is that it feature launches from various affiliate platforms including JVZoo, ClickBank, WarriorPlus and much more so it’s a good place to start looking if you haven’t decided on a main platform to target. Amazon is a more mainstream platform and you can choose to promote any items sold in the hugely popular e-commerce sites. As I’ve previously mentioned, most items sold in Amazon are everyday items that’s evergreen and easy to sell. The commissions are a bit on the low side though, and you’ll earn more if you manage to get sales in bulk. eBay is another e-commerce giant and like Amazon, they too have affiliate program. You can pick either one that suits your location and audience more. They are quite similar, but with minor differences in some of their policies. I’ve covered pretty much everything you need to know in starting affiliate internet marketing and start making money out of your blog. So if you’re keen on the idea, you can start researching on your preferred platforms and study the products, process and vendor reputation. Once you’ve decided it’s time to start getting affiliate links, add it into your blog and start earning! Of course, affiliate marketing is only one of many ways you can earn from your blog. If you’d like to learn other ways to do it be sure to check one of my previous post whether you want to sell products or earn passive income from your blog.